Kate Mulgrew, star of “Star Trek Voyager”, will be signing copies of “How To Forget” in NY next month. Kate Mulgrew, a native of Dubuque, Iowa, is an actress and author with an extensive career on stage and screen. From her start as Mary Ryan, the lead role on the popular soap opera Ryan’s Hope to the groundbreaking first female starship captain on Star Trek: Voyager to her acclaimed performance as Galina “Red” Reznikov on Netflix’s smash hit Orange Is The New Black, Kate brings a formidable presence and deep passion to all her projects. Her 2016 book, Born With Teeth, allowed her to add “New York Times bestselling author” to her resume. In this profoundly honest and examined memoir about returning to Iowa to care for her ailing parents, the star of Orange Is the New Black and bestselling author of Born with Teeth takes us on an unexpected journey of loss, betrayal, and the transcendent nature of a daughter’s love for her parents. They say you can’t go home again. But when her father is diagnosed with aggressive lung cancer and her mother with atypical Alzheimer’s, New York-based actress Kate Mulgrew returns to her hometown in Iowa to spend time with her parents and care for them in the time they have left. The months Kate spends with her parents in Dubuque—by turns turbulent, tragic, and joyful—lead her to reflect on each of their lives and how they shaped her own. Those ruminations are transformed when, in the wake of their deaths, Kate uncovers long-kept secrets that challenge her understanding of the unconventional Irish Catholic household in which she was raised. 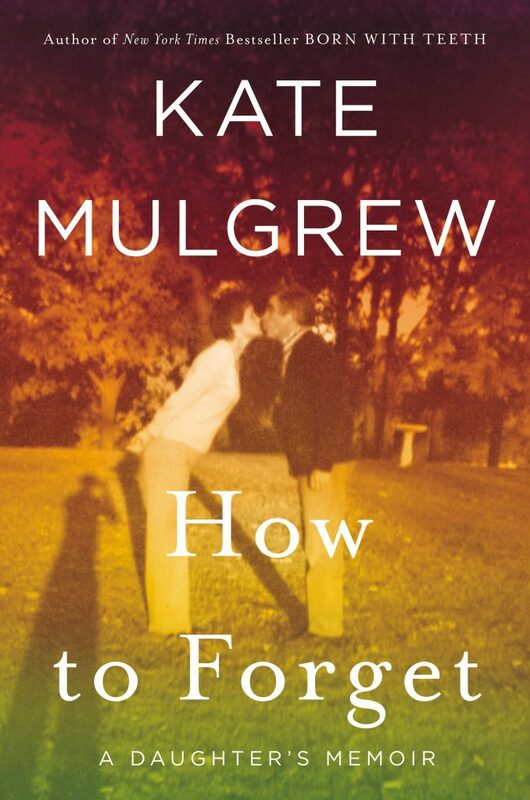 Breathtaking and powerful, laced with the author’s irreverent wit, How to Forget is a considered portrait of a mother and a father, an emotionally powerful memoir that demonstrates how love fuses children and parents, and an honest examination of family, memory, and indelible loss.